Arcade games. Virtual reality. Cricket. Go Karting. And so much more. Get tickets to all Smaaash outlets in Mumbai here. 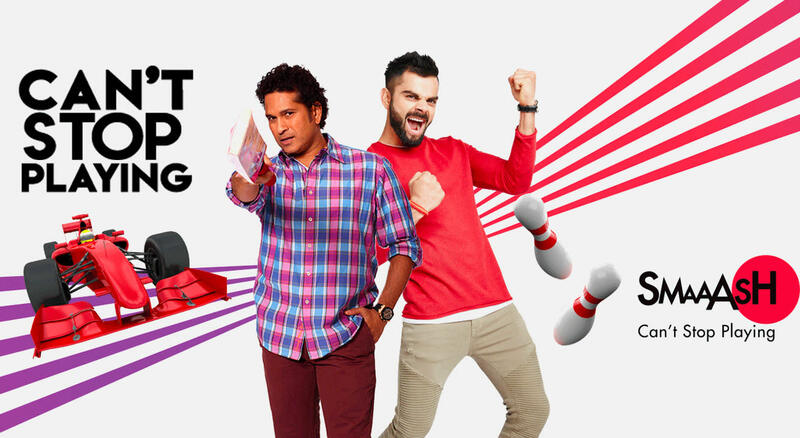 SMAAASH is India's acclaimed gaming and entertainment centers that blends sports, bowling, cricket, arcades, virtual reality, music and dining into an immersive, evolved, interactive and innovative social experience for family, friends and children alike. It's present in Mumbai, Gurgaon, Delhi, Hyderabad, Bengaluru, Noida, Madurai, Mysore, Chandigarh, Ludhiana, Amritsar, Pune, Vijaywada & more. SMAAASH also touted as one of India's entertainment powerhouse in foreign shores with its Mall of America launch. It's now present in 15 cities, with 33 centers in total.